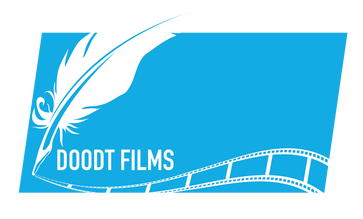 Erasmus Student Network - Doodt Films. Ideas. Visualised. The approach was not to create a regular after movie of the event but to use it as a backdrop for a story that might take place during this event. We are present in more than 480 Higher Education Institutions from 37 countries. The network is constantly developing and expanding. We have around 14.500 active members that are in many sections supported by so called buddies mainly taking care of international students. Thus, ESN involves around 34.000 young people offering its services to around 190.000 international students every year. ESN received its name and spirit from Erasmus who originated from Rotterdam, The Netherlands, and who was a celebrity and today symbolises student mobility. #THISisESN is the respective imagefilm for Europe´s biggest student organisation the Erasmus Student Network (ESN). From convincing the local international office at a university to catching the attention from an audience at an international conference, #THISisESN leaves an impact on its viewers. Written, edited and spoken by Patrick Doodt. Filmed by Patrick Doodt, Susanne Gottlieb, Szymon Brylski and Jennifer Carlsson. Revised by the ESN International Board. The official recruitment video of ESN effectively targets homecoming exchange students to motivate them to join ESN and to extend their Erasmus lifestyle within the network. Revised by the ESN International Communication Committee. Through the help of Mov'in Europe Ambassadors, we want to encourage young people around Europe to take the first step towards a more mobile future..
"We are Mov'in Europe" was produced as the kick off video for the Annual General Meeting of ESN in Milano 2014 and was my first work for ESN International. For the kick off of the new flagship campaign "Mov'in Europe" it inspired and motivated volunteers all across Europe to get involved in the campaign as well as to promote mobility opportunities and mobility as a lifestyle. Written, edited, animated and acted by Patrick Doodt. Filmed by Manual Wagner and Bettina Mack. Revised by the Mov'in Europe Project Team 2014-2015. Mov'in Europe Ambassadors are internationally-minded mobile citizens who have experienced some type of mobility. They are the embodiement of the Mov'in Europe campaign and are willing to share their experiences with young people in their local communities to help them become more mobile. All Mov'in Europe Ambassadors are volunteers. They are present all over the world to help you take that first step abroad. They are fellow young citizens who have experienced international mobility before and want the same for you. Find them on the map, and contact them. Ambassadors will be pleased to help you. Icelandic Dreams shows for the first time in a most authentic and honest way the beauty of an Erasmus story with all the small moments which have made it a truly life changing experience. The incredible love for detail invites to a thrilling and uplifting emotional journey through this story of a lifetime. This detailed autobiography in the style of music videos was produced in a period of almost four years from over 250 hours of filming material and shows the priceless warmth and beauty of an Erasmus experience. These are my Icelandic Dreams which I will always remember and never forget.